Do you and your dog want to learn at your own pace, with a supportive personal coach? Individual attention, personalized training programs, and flexible scheduling make our private training sessions a great choice. We offer both in-home dog training and one-on-one lessons at our facility. We are currently booking 2 weeks out for private training. We apologize for the wait, but we promise it’s worth it! Payment in advance is required to reserve your appointments. Please contact us directly before registering if you have any concerns about scheduling. 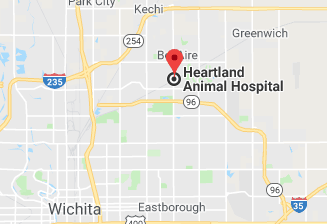 Travel fees will apply for in-home clients outside of the Wichita metro area. These fees are returned directly to your trainer to cover gas costs and vehicular wear and tear. From 135/Kellogg interchange: $10/visit 20-39 miles away; $20/visit 40-60 miles away. We have four tracks for private training. Click the icons below for details. Not sure which to choose? Contact us and we’ll help you decide. Our manners programs teach basic obedience and target common behavior problems like jumping on people, leash pulling, and door dashing. Behavior consultations cover serious behavior issues like aggression to people or other dogs, fear, housetraining, destructiveness, and other major problems. Kids and dogs are our specialty. Family integration services are for parents who want to ensure their little ones and their dogs can live in harmony. Wellness training helps your dog become more comfortable with handling, veterinary care, grooming and nail trims, and other caretaking tasks. If your dog needs more reliable obedience training, our manners programs are for you. We will coach you and your dog through systematic training plans that have been tested and proven with thousands of dogs. Our training methods are both results-oriented and novice-friendly. Manners school programs are 6 sessions in length and include a treat pouch and clicker, homework handouts, and email support for the duration of the program. Sessions may be held in your home or at our facility and can be scheduled at your convenience, including evenings and weekends. Multiple dogs in the same household may be included in the sessions at no additional fee. Choose which program you’d like during enrollment, or decide which direction fits your dog best by giving us a call. Want more support? You can enroll for additional manners packages at a 10% discount within 3 months of your previous package end date. If your dog is all-around unruly, this is the course for you. We begin with a problem solving session to address any urgent behavior issues you’d like to solve, then introduce foundation obedience behaviors including sit, down, stay, leave it, and come when called. As your dog learns these skills, we’ll start to integrate them into real life situations. We’ll also practice leash walking in your very own neighborhood and reinforcing polite greeting behavior at each session. 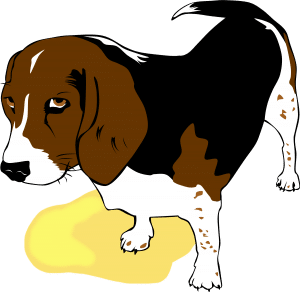 If your dog is untrained or overwhelming, basic manners school will give you the tools you need to get him under control and listening to what you say. If you have a puppy under 20 weeks old, you know how distressing the constant nipping, chewing, jumping, and housetraining accidents can be! We’ll help you solve these common puppy problems, plus introduce basic obedience skills so your puppy will have good manners right from the start. In addition, our puppy program includes a socialization plan for your pup, aggression prevention training, and techniques to teach your puppy to accept grooming and handling without becoming upset. This program has got it all! We work at your dog’s pace so he stays successful and motivated, and we’ll teach you how to keep walks fun and enjoyable, not a stressful tug-of-war! Your program fee includes the cost of a no-pull halter or harness for your dog. Please note: if your problem is on leash aggression or reactivity towards other dogs, this is not addressed in our basic leash manners training. This type of behavior is addressed with our behavior modification services, beginning with an initial consultation; see the section below. Please note that sessions 4-6 will require visitors. We ask you to find friends or family who are willing to drop by. This keeps our program costs down. If you don’t have anyone at all to help, we can add an assistant for an extra $30/session. Important note: this program is for dogs who struggle with too-friendly or excited greetings. If your dog is aggressive or fearful toward visitors, you need to enroll in behavior consulting instead. If you aren’t sure, we can help you decide which program fits your situation best. Depending on how quickly your dog progresses, we may have time to practice away from home or with more difficult distractions, like other dogs or people. Our end goal of the basic program is a dog who will come when called reliably throughout your normal daily routines. We can do these sessions using a verbal recall or by training a whistle recall. Getting reliable obedience takes a lot of work and dedication. 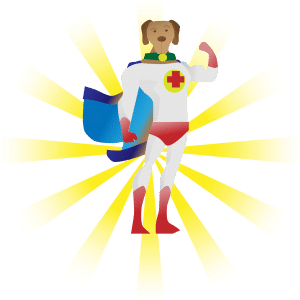 If you’re serious about seeing a big change in your dog’s behavior, we offer our SuperDog program – basic or puppy manners, along with leash, visitor and recall manners (24 sessions total). This package includes a no-pull halter or harness, clicker, treat pouch, and manual. You’ll enjoy a discounted rate and seeing the changes in your dog. If your dog is not friendly to people, he or she must attend a behavior consultation prior to enrolling in manners school. Are you at the end of your rope with your dog’s behavior? We are experienced with serious behavior problems including fear, aggression, anxiety, leash reactivity to dogs and people, destructive behavior, housetraining issues, and more. Our behavior consultations include a professional assessment of your dog’s behavior and development of a detailed behavior change program. You will know exactly what changes to make immediately and what you’ll need to do in order to get your dog on the road to resolution. In some cases, your dog will need ongoing training in order for you to see the results you want. We offer follow-up behavior modification packages so we can walk you through resolution every step of the way. Your trainer will come to your home and perform a professional assessment of the behavior issue you’re experiencing. In most cases, we have time to begin training right away and demonstrate a foundation training skill or behavior modification technique. We offer a judgment-free environment and work collaboratively with owners to develop realistic behavior plans that you can follow to address your dog’s behavior. We can also help you make decisions on re-homing or euthanasia in severe cases. After the consultation, you will receive a written behavior plan that includes our professional assessment of the behavior issue along with with recommendations on prevention, handling the behavior in the moment, and any training needed to resolve the behavior. After your program has been developed, you may need additional assistance to carry out the training. We offer training sessions in sets of four to make the process affordable and so you can continue to choose what level of support you need. Most training packages are carried out over several weeks with homework in between. The fee for the package is comprehensive and includes ongoing email and phone support during the program plus the cost of additional training assistants during sessions requiring other dogs or people. We don’t nickel and dime. Want more support? You can enroll for additional 4-session packages at a 10% discount within 3 months of your previous package end date. Many behavior issues will be resolved satisfactorily within 4-12 sessions, with homework in between. However, some serious issues take months, and some problems that have biological components may never fully resolve. 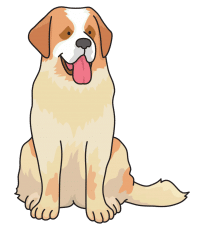 We can’t predict a dog’s learning curve or an owner’s compliance with the program, so we can’t offer a guarantee on a certain number of sessions to resolution. Behavior just doesn’t work like that! Not all cases require an in-home visit. 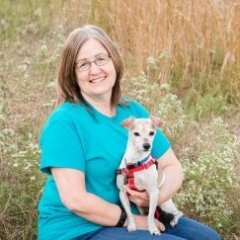 If you are seeking advice on re-homing, just want to run your dog’s issue by a professional, need basic tips on a behavior problem, live out of our area, or are on a limited budget, we offer a remote consulting option. You don’t have to meet my dog? In many cases, no. You’ll provide us detailed observations of your dog’s behavior, and we’ll ask a series of questions to hone in on the issue. Based on this information, we will explain what is happening, lay out your options, and make a recommendation on your course of action. 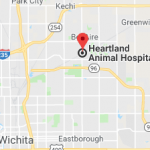 In some cases, we may request video or veterinary oversight of the behavior issue and we’ll set another appointment after these items are completed, at no additional charge. Please only take video if requested – don’t put anyone in a dangerous situation just for the camera! You’ll receive on the spot advice, plus an e-mailed follow-up with individual recommendations and informational handouts. Psst...want an inside look at a behavior plan? Can you guarantee you'll fix my dog's behavior? Actually, no. Offering a guarantee is a red flag if you are searching for a dog trainer. It is unethical to guarantee training results, and therefore it is against the code of conduct of Association of Professional Dog Trainers. Pregnant? New baby? Toddler bouncing off the family pup? Is a new puppy wreaking havoc with your kids? Family integration training is for you! Our head trainer Kathrine is a mother of four and a licensed Family Paws Parent Educator, so families with children and dogs are our specialty. We offer caring, compassionate guidance through life changes that can be stressful and chaotic. We will sit down with your family and bring our extensive knowledge to the table, along with visual presentations, helpful handouts, and supplementary books. The consultation often includes games, props, and handouts for your children to help with hands-on learning. Our in-home consultations are primarily for the human half of the family, although we’ll sometimes get a chance to introduce a behavior or two with your pup. After the consultation, you’ll be confident that you know how to handle whatever situation has you concerned. We will send you a detailed written follow-up with a review of what we covered in our session plus extra resources we think you may enjoy. You can choose to continue with a training package if you’d like to address the canine side of the equation. If you’ve experienced the chaos of kids and dogs and need hands on help to wrangle the situation – or if you’re trying to get a head start to prevent the chaos – getting professional support can be life-changing. Our four session family integration programs are intended to build confidence on your part and better behavior on your dog’s. Along with our dog training chops, we have a sound understanding of children’s developmental stages, specialized education in integrating babies and toddlers with dogs, and gobs of experience working with kids. This is our forté! Do I need to do a consultation first? Except for aggression cases, no. You can choose to jump right into a training package. You’ll want to choose this option if you know off the bat that your dog needs some training, too. We’ll spend the first session assessing the situation, developing our recommendations, and introducing a foundation behavior. Then, we’ll develop a personalized behavior program just for your family and work through it over the remainder of your lessons. The specifics depend on the topic you choose. We could be doing anything from teaching your kids how to Be a Tree and magically turn off puppy jumping and mouthing to re-arranging your furniture and teaching your older dog to settle in a confinement area away from a grabby toddler’s hands. Not all cases require an in-home visit. If you are seeking advice on re-homing, just want to run your dog’s issue by a professional, live out of our area, or are on a limited budget, we offer a remote assessment option. Video chat is preferred, but phone consultations are available, too. In many cases, no. We’ll work through a behavioral interview and use our best judgment to make recommendations on what you can do. In some cases, we may request video or veterinary oversight of the behavior issue and we’ll set another appointment after these items are completed, at no additional charge. Please only take video if requested – don’t put anyone in a dangerous situation just for the camera! Our head trainer Kathrine Christ is a licensed Family Paws Parent Educator and offers periodic group seminars. You can also request a presentation for a church group or community organization. Got dogs? Expecting a baby? You need Dogs & Storks®! This 1.5 hour seminar will cover all of the vital information dog owners need to know to smooth their transition from families with fur-babies to families with dogs and children. Learn whether or not your dog needs to sniff baby’s blanket, what kinds of household changes you may need to make ahead of time, and how to safely introduce your dog to his or her new human sibling. Join us for this fun and educational seminar and you will feel confident and prepared to bring home baby. Toddlers and tantrums and terriers, oh my! 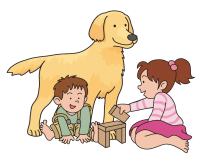 Fostering a good relationship between dogs and young children depends on lots of hands-on parenting, understanding dog body language, and creating an environment that sets everyone up for success. In this 1.5 hour seminar you will learn how to identify potential problem spots in your home, how to teach your child safe touches to dogs, how to communicate better with your dog so you can keep him in his kiddie comfort zone, and more! What’s wellness training? It’s thinking beyond obedience and helping your dog learn to accept routine care procedures such as grooming and vet visits without becoming unruly, fearful, or aggressive. 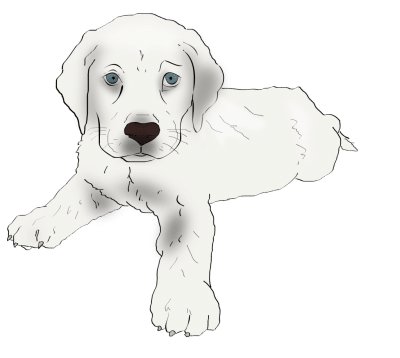 We offer proactive training for puppies so that these procedures don’t become a struggle, and we offer rehabilitative training for dogs who are already experiencing problems with handling or husbandry. Our training sessions are sold in sets of four. The number of packages an individual dog needs will vary based on the dog’s rate of learning, the severity of the issues, and the amount of homework you choose to do yourself. Some owners are diligent students and happily take over training on their own once they feel confident; others are more comfortable stepping back and letting the professionals perform the technical work. We are happy to accommodate your preference. Did you know that routine care procedures can be mutually enjoyable instead of a struggle? We can help your dog learn to willingly accept the following. We use positive reinforcement training and build pleasant associations with care procedures via systematic training plans. We offer these services with your veterinarian’s approval only, as they will require limited use of an exam room. 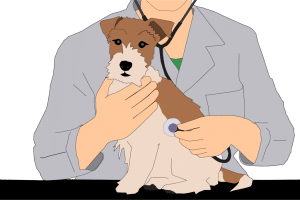 Much of this program can be done at home; in-clinic services are offered with your veterinarian’s approval only, as they will require limited use of an exam room. This is a 5.5 hour one-time class for humans, not a training package for dogs. Your course fee includes a 40+ page handbook. Attendees will receive a certificate. Due to licensing restrictions, no discount codes may be used for the PetSaver™ class. We offer vet clinics the opportunity to participate in our behavior wellness program. We provide free presentations on behavior topics as well as new client folders and behavior handouts.